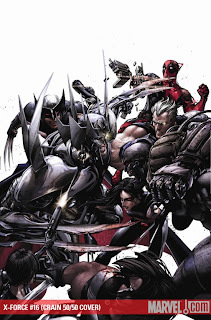 The final issue in the X-Force/Cable crossover Messiah War comes out today, June 24, 2009. It has been confirmed via a preview posted at CBR that Deadpool will continue to be in the crossover. Thanks to PennyxxxDreadful for the tip.